What is Debt-to-Income Ratio? How do I calculate my DTI? 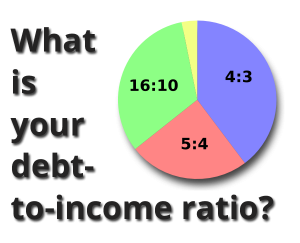 What is Debt to Income Ratio? FHA requirements are in place to prevent loans from being issued to borrowers who cannot afford them. Although the misconception exists that credit scores are the primary factor taken into account by lenders; debt to income ratio (DTI) is often just as significant. 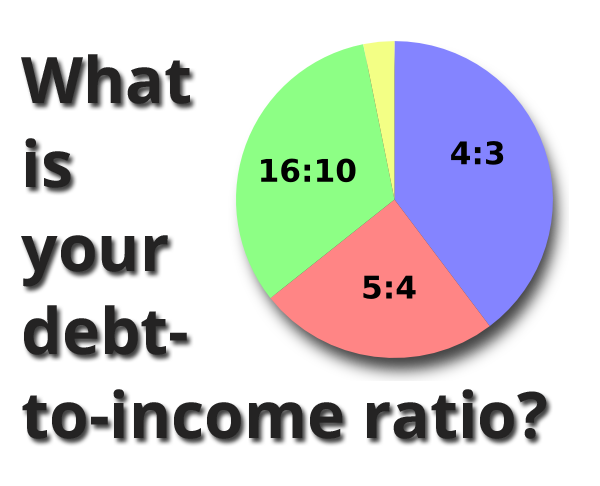 Debt to income ratio is the amount of monthly debt payments you have to make compared to your overall monthly income. A lower DTI means that the lender will view a potential borrower more favorably when making an assessment of the probability that they will repay the loan. This is because a low DTI shows that you have extra disposable income after all of your debts are paid. The lower your DTI, the better chance you have at getting the loan amount you want. Mortgage lenders use this number to determine how much they’re willing to lend you. A high ratio might prevent you from getting a credit card or home loan if creditors and lenders conclude you are accumulating more debt than you can afford to repay. Knowing what your specific debt to income ratio is as well as how to improve it can increase your chances of getting a better mortgage. Generally, a DTI below 36 percent is best. For a conventional home loan, the acceptable DTI is usually between 41-45 percent. For an FHA mortgage, the DTI is usually capped between 47% to 50%. For a VA loan, the acceptable DTI is up to 71 percent. This means the lender will require you to have a minimum of 29-59 percent of your income as disposable. There are two types of DTI. Front end and back end. Front end DTI is based on your future housing payment divided by your current monthly income. Back end DTI is calculated by adding your current consumer debt payments and the proposed housing expense divided by your monthly income. When applying for a home loan, your DTI can help you better understand your financial position and can mean the difference between loan approval and denial. How can I lower my DTI? Lowering your DTI may be necessary in order to qualify for the loan amount you want. Fortunately, there are ways to do so. 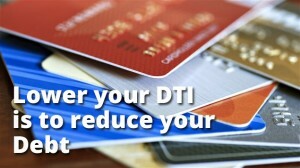 The easiest method to lower your DTI is by reducing your debt. Since DTI is based on monthly expense, it makes the most sense to pay down the debt with the combination of the lowest balance and highest monthly payment. Other means of lowering your DTI include, increasing income, avoiding major purchases or in extreme cases, getting help from a financial adviser. For individuals with an already high DTI, Increasing your income is the most beneficial thing you can do to improve the ratio. This can be done by asking for a salary increase, working overtime, taking on a part-time job, or even making extra money from a hobby. The more you can increase your income without raising your debt payments, the lower your DTI ratio will be. How do I calculate my debt to income ratio? Calculating your DTI is simple and not very time consuming. 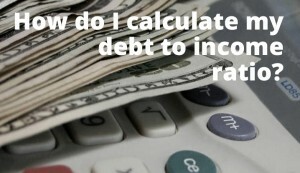 To calculate your debt to income ratio, add up all of your monthly debt payment obligations (recurring debt) including your mortgage, car loans, student loans, and minimum monthly payments on credit cards. Do not include expenses such as groceries, utility and gas. Then, calculate how much you earn each month. Finally, divide your monthly debt obligations by your gross monthly income to get your DTI. For example if you and your spouse earn $6,916 per month, your mortgage payment is $1,350, your car loan is $365, your minimum credit card payment is $250, and your student loans are $300, then your recurring debt is $2,265. Divide the $2,265 by $6,916 and you will find your DTI is 32.75 percent.